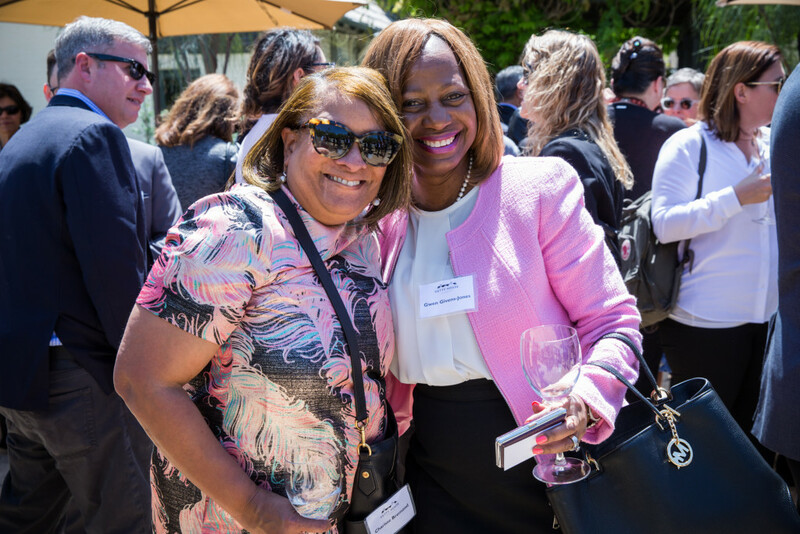 Mayor Eric Garcetti, First Lady Amy Elaine Wakeland, and the Getty House Foundation Board of Directors hosted an event to encourage the creative industries to hire youths from the Hire L.A. Youth program. 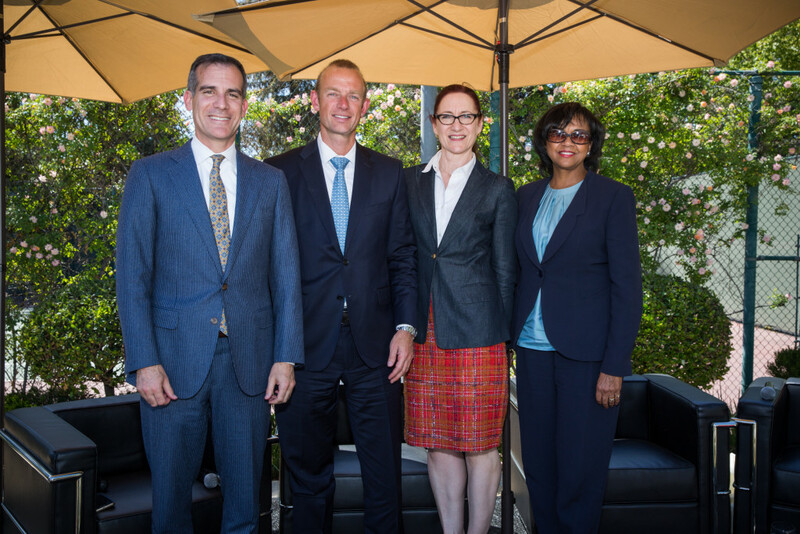 This program is one of the Mayor Garcetti’s priorities to ensure that every young person in Los Angeles, no matter who they are or where they live in this City, is connected to a pipeline that leads to a career. Early work experience and fostering skill development are all invaluable to economic success. The creation of the Hire L.A. 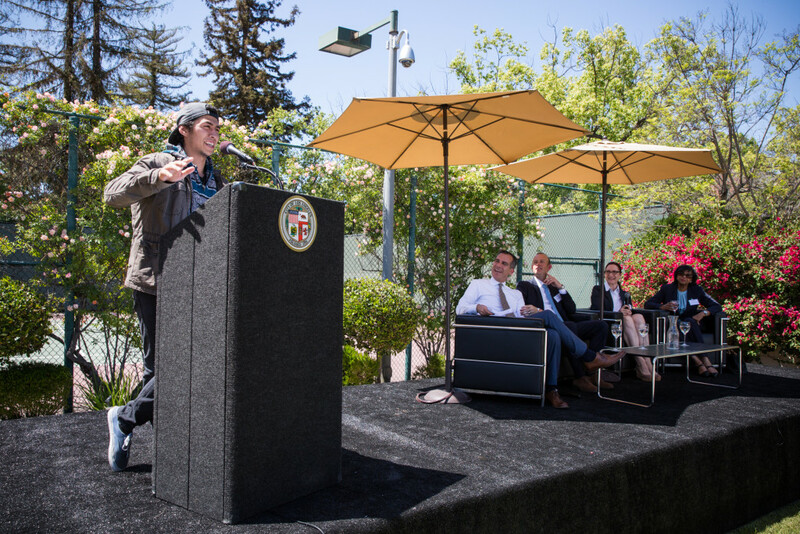 Youth program is a direct result of the Garcetti Administration’s recognition that teens and young adults are having a harder time finding work in Los Angeles compared to other large metropolitan areas in the nation. 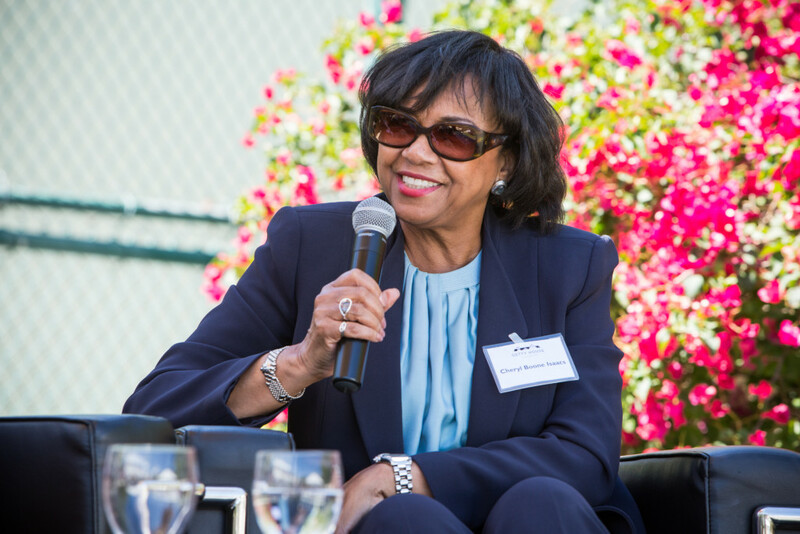 To highlight this important program and encourage more employee enrollment, Mayor Garcetti brought together Cheryl Boone Isaacs, President of the Academy of Motion Picture Arts and Sciences, and Lisa Henson, CEO of The Jim Henson Company, to discuss their participation in Hire L.A. 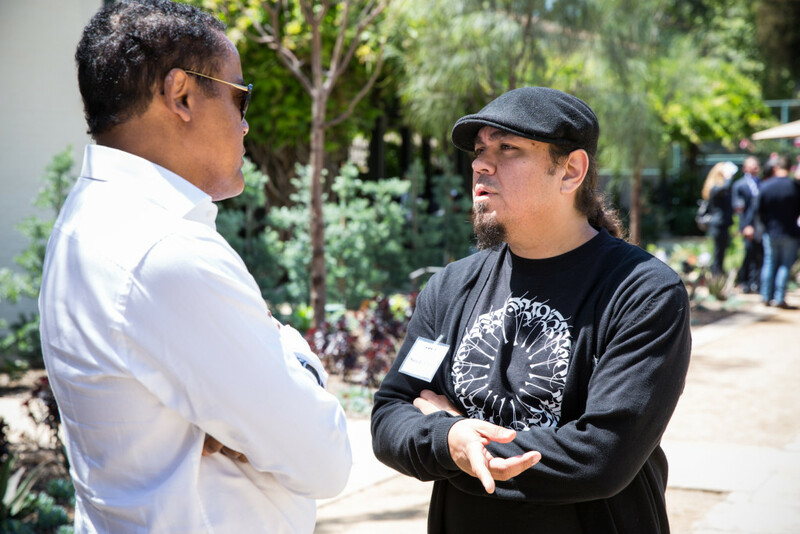 Youth and how we can do more to connect L.A.’s creative industry employers to the program. Hire L.A. Youth alumni Arturo Casas (who found a position at The Jim Henson Company), LaTeesha Pinkney, and Darlene Elias shared their success stories.